La Pizzetteria Brunetti ofrece excelente pizza napolitana, bar de vinos y auténticos platillos napolitanos y ensaladas con el ambiente informal de esta zona. Sirven una comida italiana accesible, centrada en los ingredientes, con la cantidad justa de gran hospitalidad en un entorno relajado. El establecimiento combina las tradiciones más estrictas con ingredientes nuevos que los diferencian del resto. I absolutely loved our meal at Brunetti. I know my pizza (from New Haven to all the boroughs of NYC), and Brunetti is at the elite level. Loved the charred crust and the homemade sauce. The salads and apps were also very good. We will absolutely, positively be back! The Pizza is fantastic. They have a large selection of beer for beer lovers. The service was almost great. Two of the three servers were attentive and efficient. The pizza is excellent. 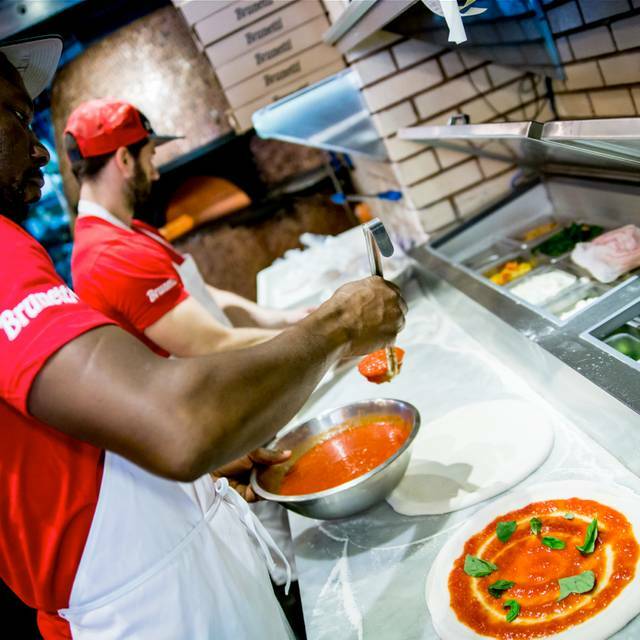 As close as you will find to authentic Italian pizza. Service was excellent too. Great wine and beer selection. 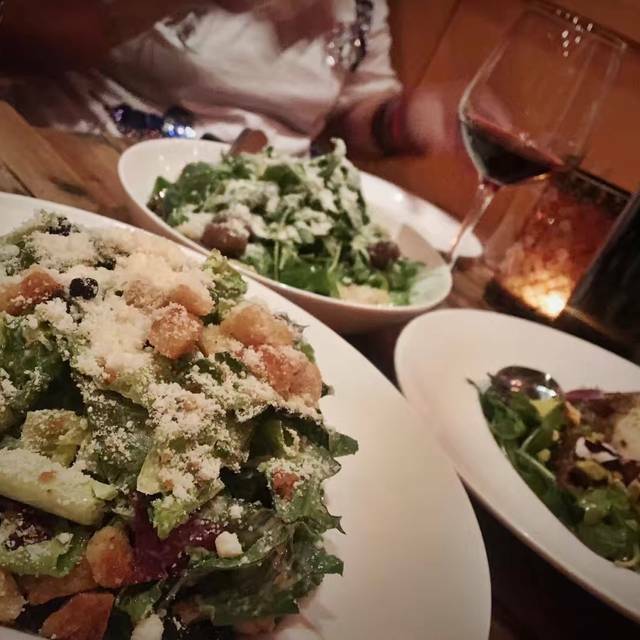 One of my go-to restaurants for date night, out of town friends or casual dinners. Great wine happy hour and they have gluten free pizza options. A tad bit expensive, but the pizza is worth it. Such a great spot for date night dinner. Tonight we celebrated our 6 months! I’m not big on anniversaries, but this was perfect. Just what was craved. We had the Teas pizza and the chicken parmigiana. And shared both. Great compliment to each other and wasn’t over filling. The pizza was soooooo freakin’ good. The restaurant was a bit behind on our reservation time, totally understandable with a 15 or so party celebrating a birthday ahead of us. But if you looked around, everyone was enjoying their time, smiles on all faces, and the service was on point. They weren’t frazzled, greeted you with a smile and alternative options (bar or Hightop) We highly recommend this spot! Our server was Dean! Super sweet! No wait for reserved table. 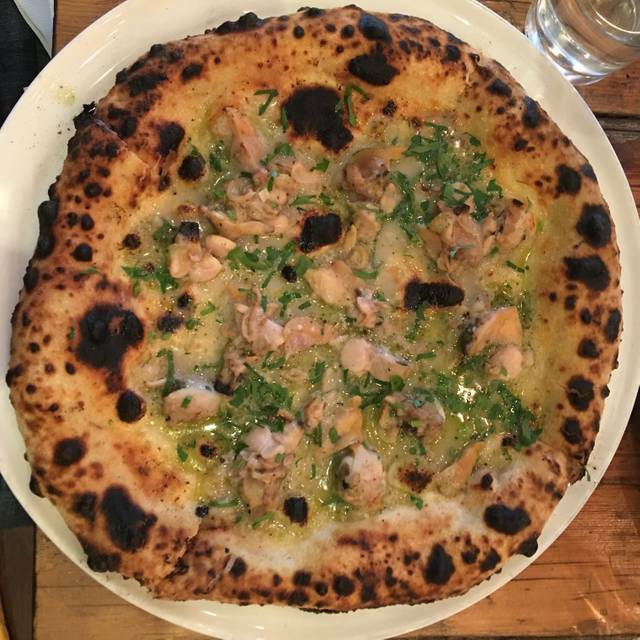 Great pizza. Good service. Noisy and small as there was a large party that nite. But cozy add old New york. Will be back. Relaxed, friendly atmosphere. Best quattro formaggio ever according to wife! 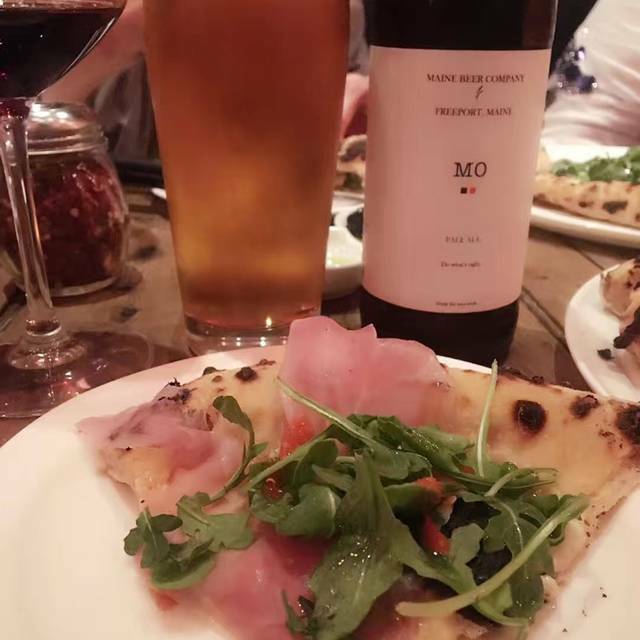 Great wine recommendation - a very light Rossese goes well with pizza. The pizza was amazing! We also got the chicken parm on a panini. That was also delicious. Can’t wait to go back. Nice waiters, however they must have been instructed to keep us moving because after every sip, they would come over and pour more wine. We came for the pizza and the pizza was a wet mess. Nice atmosphere. Would not return. We enjoyed our visit here. Started with Caesar salad followed by margarita pizza plus pepperoni and mushroom. The mozzarella was delicious. It's really good, reasonably priced pizza. We ordered several, and each one was different and tasty. When we went, our service was ludicrously slow and they got one of the orders wrong--but they did acknowledge and apologize, and comped our drinks. We walked away satisfied despite the service issues. It's my favorite pizza in NYC, however this time of year its extremely cold in there that is the only issue. Everything else is great. Good solid lunch choice. Kinda what you'd expect from the atmosphere. Chill pizza place. Too bad the espresso machine wasn’t working. Their pizza is the best anywhere. A taste of Italy. The staff is great too! Nice service BUT NOISY!!! Pizza soggy. Crowded, but friendly staff. The pizzas were amazing and the service was awesome. Friendly and great service! Food was excellent! Shout out to James! Liked the food in general, back patio area is cute, service was rather slow in all aspects (ordering, getting drinks, etc). 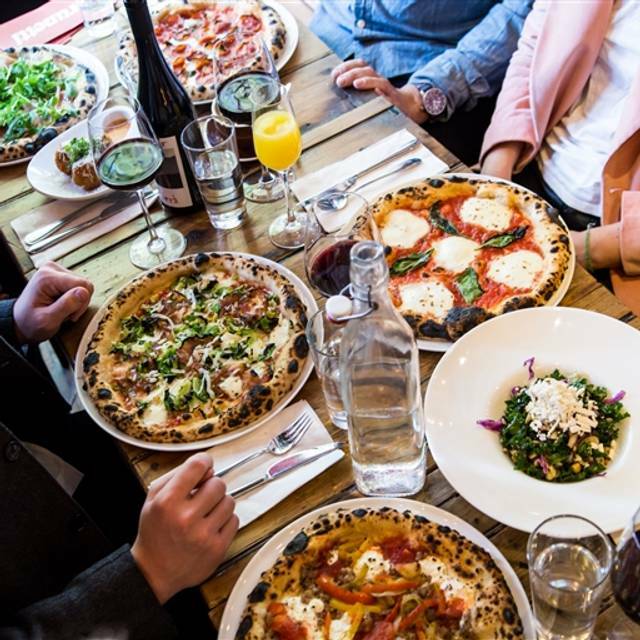 Go for great pizza, great montepulciano! Antonio was an amazing server! He was very kind, polite, and professional! Highly recommend! For lunch they offer some pizzas at $12. Great neighborhood pizza joint. 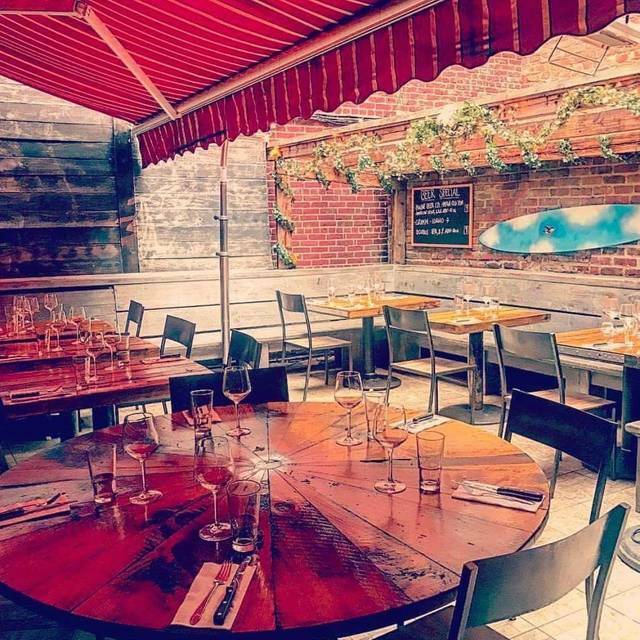 It's a smaller place in the West Village with an amazing patio. The ambiance is perfect for either a date night or a small gathering of friends. We had Carlos as our server and he was great. He knew the menu really well and gave perfect wine pairing suggestions. The pizza dough was the perfect mix of chewy and crispy without getting soggy from the toppings. The fennel salad was really bright and refreshing. I normally dislike fennel and find it a bit overpowering, but it really worked well with the rest of the toppings. Side note: On the Monday night we stopped by, the music selection was on point. Barry White set the atmosphere. 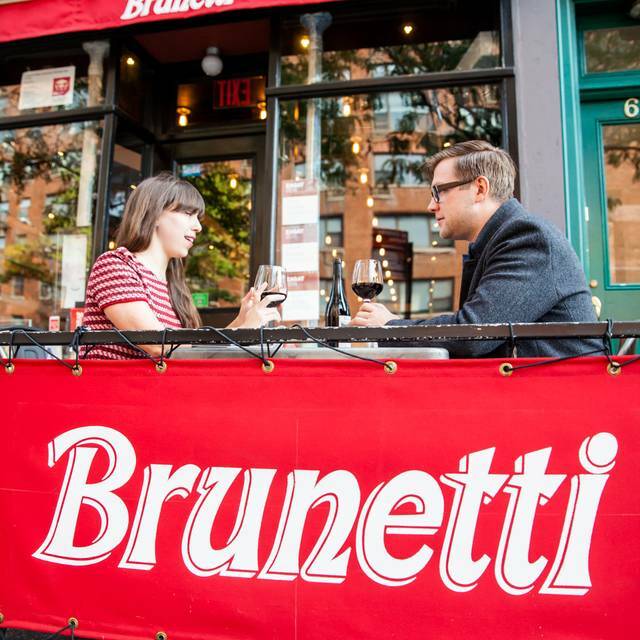 Brunetti used to be our go-to Friday and Saturday pizza night with friends. Unfortunately, they have changed the ENTIRE staff which hinders the total experience. The old staff was exceptional and the new is not as friendly. Food was great per usual, but total experience has gone down. Great pizza and very accommodating staff. Great meal - pizzas were delicious and would return. Nice outside area and fun vibe. Never disappoints ! Great local haunt , only thing is they took the best desert off menu!!!! They used to have these homage donuts with a Nutella sauce that was a perfect compliment to the meal but it’s gone!!!!! Bring back please! I hesitate to recommend this place because it already has a healthy clientele, and the more popular it becomes the harder it will be to get in- it's a small place, but the food is excellent and they're wonderful with children. On the weekend some 'pizza tours' come in and take over which can be a bit annoying, but that's the rare thorn in the paw of this very happy customer. 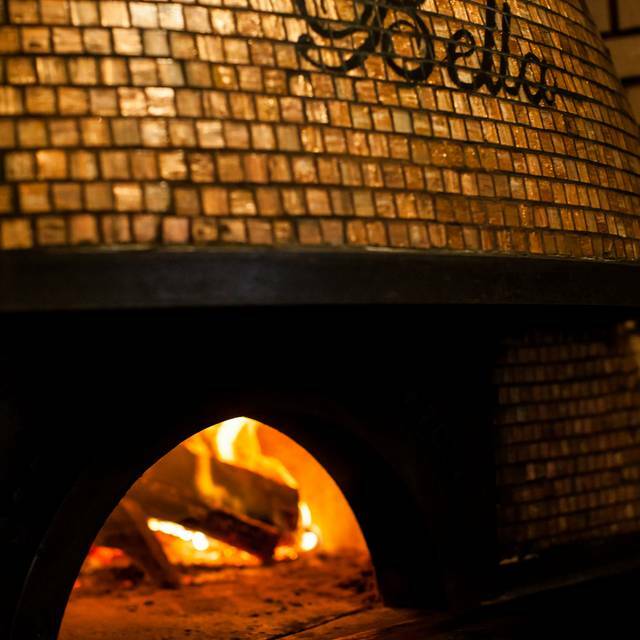 Their pizza oven is beyond compare. Our food was very slow to come out. After tables that had arrived well after ours started to get their food, we asked about our food. With no apology, staff informed us that the system must have lost our order. Still no apology. Food came more than an hour after we sat down. Mistakes happen but management should make amends/own up to it. 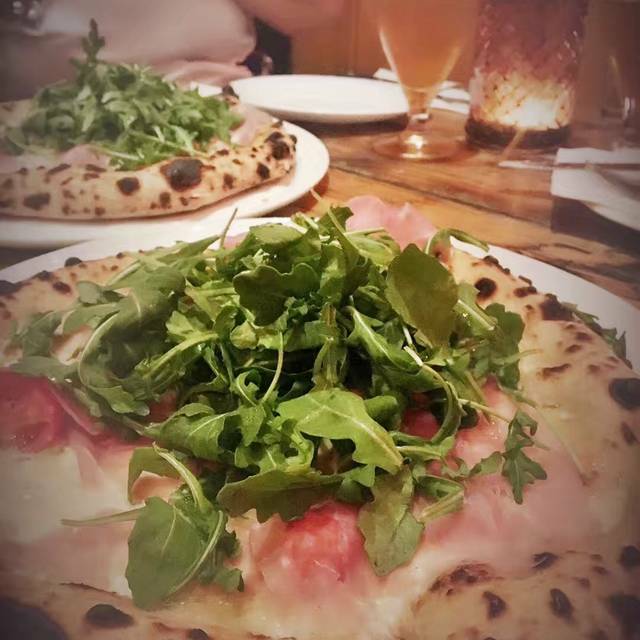 Amazing pizza and great wine - excellent service - can’t wait to go back! Decent food for a local joint. Not worth a trip. Expensive.